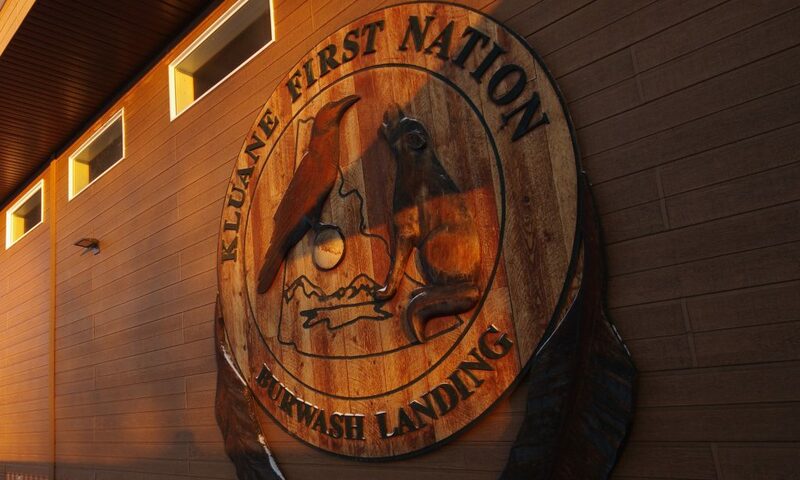 Kluane First Nation is a Self-Governing First Nation. KFN is one of eleven Self-Governing First Nations in the Yukon. KFN signed their Land Claim and Self Government Agreement in October 2003 and it came into effect in February 2004. The seat of the government is in Burwash Landing, a small primarily First Nations community in the southwest Yukon. Self Governing First Nations in the Yukon operate in tripartite with Yukon Government and the Federal Government. Growing from the shores of Kluane Lake in all directions is Ä sì Keyi, (My Grandfather’s Country) a boreal forest nation, that stretches to the Ruby and Nisling mountain ranges to the northeast and the St. Elias Mountains to the southwest. The Kluane Lake area is the traditional territory of the Lù’àn Män Ku Dän, the Kluane Lake People. The majority of the First Nation people from this area identify themselves as descendants of Southern Tutchone speakers and follow a matriarchal moiety system of two clans, Khanjet (Crow Clan) or Ägunda(WolfClan). Other ancestors of the Kluane First Nation came from nations such as the Tlingit, Upper Tanana and Northern Tutchone. Burwash Landing, located on the shore’s of Kluane Lake and along the Alaska Highway, is a small community that is home of the Kluane First Nation Government. Burwash Landing was settled at the beginning of the 20th Century when a trading post was established by the Jacquot Brothers. Up until that time the First Nations people of the area (Lu’an Mun Dun) used the area as a summer camp. Over the years the community has remained a predominantly First Nations community, however the community is growing mulit-culturally. The community is an outdoor enthusiast’s heaven where all types of front country and back country activities can be enjoyed in all seasons. Burwash is located between Kluane National Park and Kluane Lake. The sub-arctic landscape is rugged and dramatic.